It is true that we are all children of mother Red Hand, but you are Kansa - and the honor of the Kansa is at stake. Don't let it be said that you lack courage! 10,000 years ago, the Kansa tribe live on the eastern shores of Stone Age Britain, where danger is never far away. Step by step, Poika’s journey into manhood continues - caught in a mesh of tribal hunts, gatherings, and feasts determined by the waxing and waning of thirteen moons. But he's not alone. Greed, appetite, and desire dance under watchful eyes in the shadows. 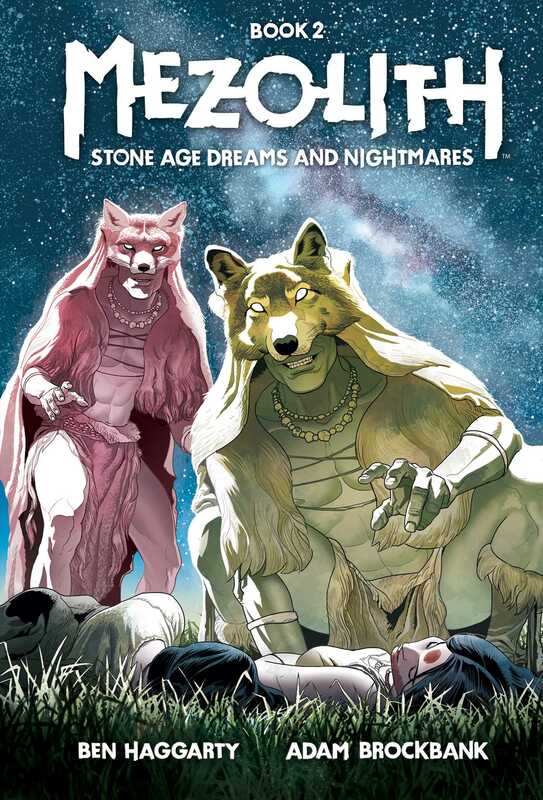 The boundary between the real and imagined worlds blur as more and more of the Kansa cosmology is revealed in the dreams, nightmares, and ancestral beauty of Mezolith.